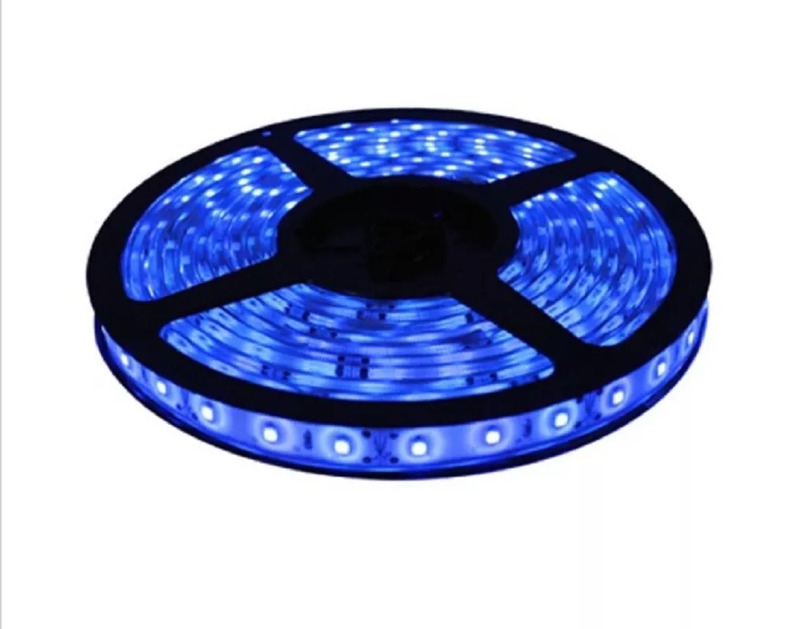 Led Strip Light Constant Blue Color Non Water Proof With Adapter. 5 Meter LED Strip With Power Supply Adapter. 60 LED per Meter. Description: If You Require Less Than Role For An Area Where You Want To Use, You Can Cut After Every 3-LEDS Without Damaging The Rest Strips, According To Your Requirement. There Is A Scissor Cut Mark After Every 3 LED's. 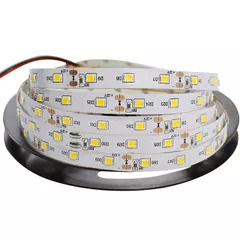 Led strip lights are now slowly replacing the series of decorative bulb lights that were earlier used to decorate one's house. The flexibility and usability of strip lights are more as compared to conventional decorative lights. The led pvc strip light is a one-of-its-kind lighting strip that can be used to decorate anything, from the smallest to the largest structures. Meant for long term use: this strip light roll from the manufacturer led lights has been made using high-quality pvc that ensures it can be used festival after festival and season after season without needing repairs. It has a length of 4.5 metres so you have the freedom to decorate your space as you like. Whether the area requires this strip to be wound up, coiled up, linear, non-linear or simply abstract. With one after the other festival in india arriving in close intervals, decoration with bright lights cheers up the festive mood. Strip Length: 5mtr (14 Ft Approx.) Note: Installation Environment Must Be Smooth, Clean And Dry. The Part Of LED Components Can Not Be Fixed On The Surface Of The Sharp Edge. Please Follow The Cutting Line When You Need To Cut The Light Ribbon No Longer Than 5 Mtr When It Is Used In A DC Series Circuit.